Ben Walker, right, speaks about issues among the lesbian, gay, bi-sexual, trangender and questioning community at the Unitarian Universalist Society of Geneva on Sunday. Walker is a social worker who serves the gay community in Chicago. 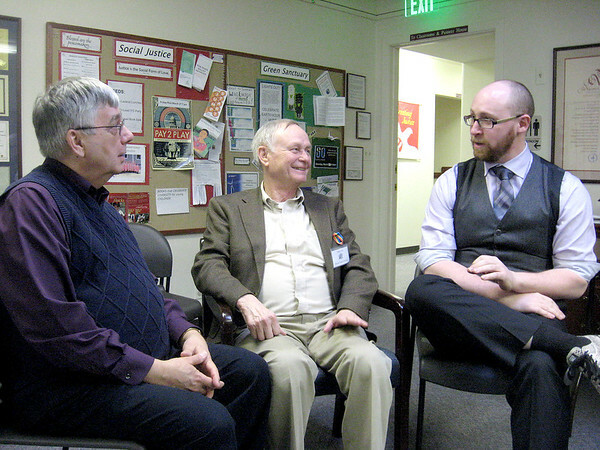 From left, Lynn Steele of Geneva and Peter Coe of St. Charles speak with Walker about issues facing the gay community.